As the music industry wakes up from its holiday slumber and begins the new year, attention shifts to developing new artists whose careers are beginning to build. Below are forty hand-picked artists of varying genres and current levels of success. Some are completely independent, while others have already topped charts. Regardless, all of them show potential to be even bigger names, particularly in America, in the coming year. Listen to the artists through this SoundCloud playlist, and check back later in the year to see how these predictions turned out. 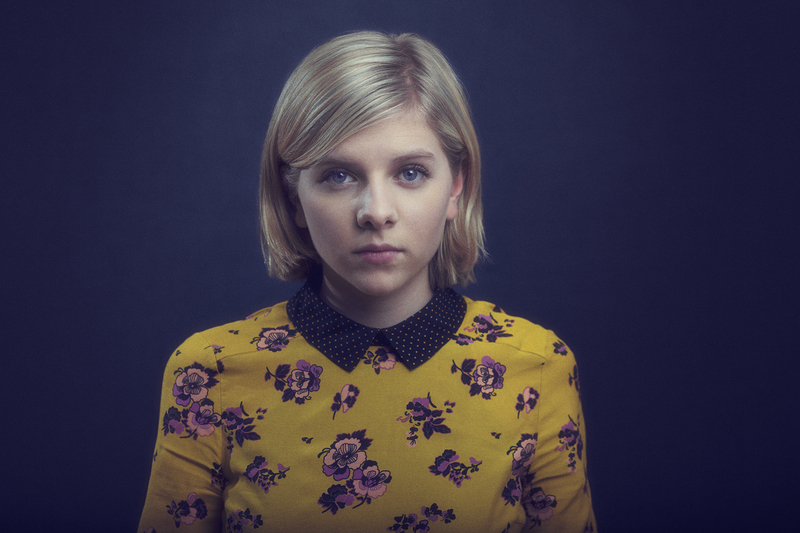 Only two songs have been released here so far by 18-year-old Norwegian artist Aurora Aksnes, who signed to Glassnote Records (beyond Europe, where she signed to Decca) last year: “Awakening” and “Under Stars.” Both show a lot of promise, though, with light, thumping beats throbbing along under Aksnes’s smooth vocals. With each song (plus an impressive live cover of David Bowie’s “Life On Mars,”), she rides the musical contours of each song with fluid, strong emotion. 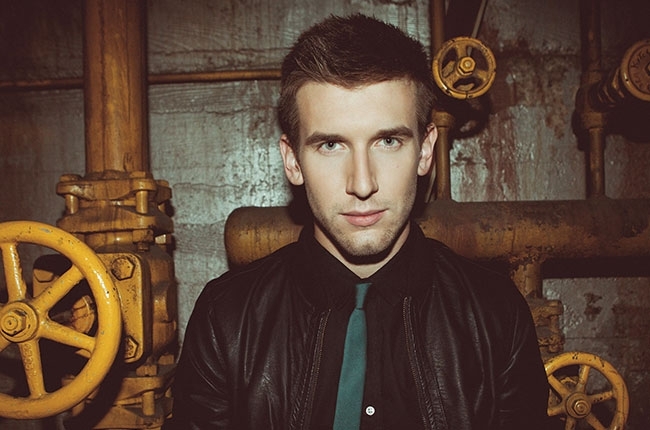 Big Data, AKA producer Alan Wilkis, had a big year in 2014 already, with debut single “Dangerous” (featuring another rising act, New York indie-rock band Joywave) reaching #1 on alternative radio in the United States and Canada. With the single now getting crossover airplay and another release featuring White Sea, “The Business Of Emotion,” acting as a follow-up single, Wilkis’s peculiar subject matter — paranoia over decreased privacy and security in the digital age — seems to be catching on with listeners. 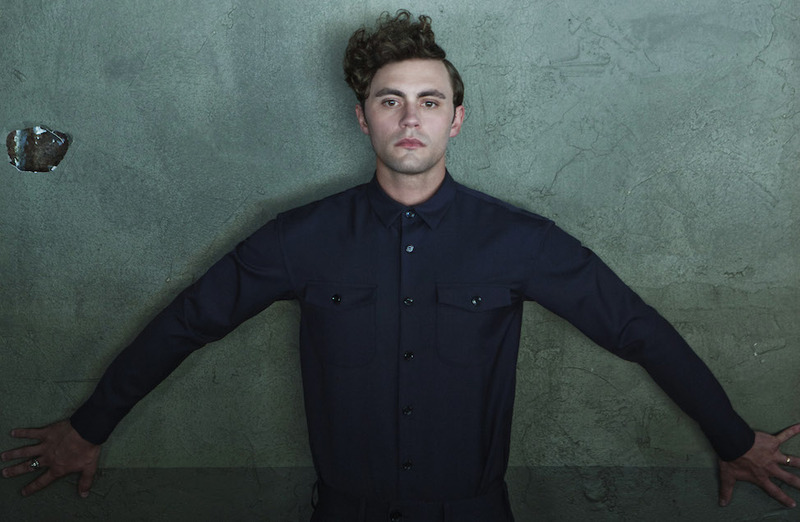 A full-length debut album, 2.0, is slated for release March 24 with a stacked deck of collaborators, including Kimbra, Twin Shadow, and Jamie Lidell. Born and raised here in Michigan, Garrett Borns recently settled into a treetop abode in Los Angeles after a short stint in New York and signing a record deal with Interscope. 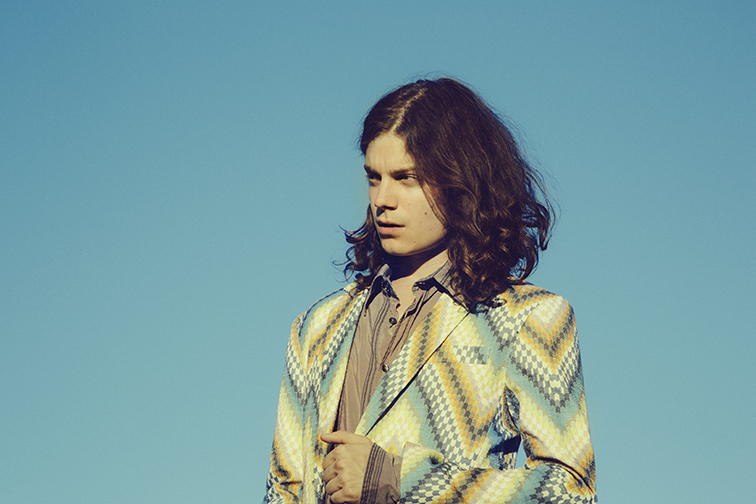 His CMJ showcase received love from Entertainment Weekly, and debut single “10,000 Emerald Pools” is gaining traction at independent radio. It also just received hefty promotion as the Single of the Week on iTunes, and Spotify included him in their list of artists to watch this year as well. Only his first EP Candy is available right now, but all four songs are sweet with bouncy production and catchy melodies. 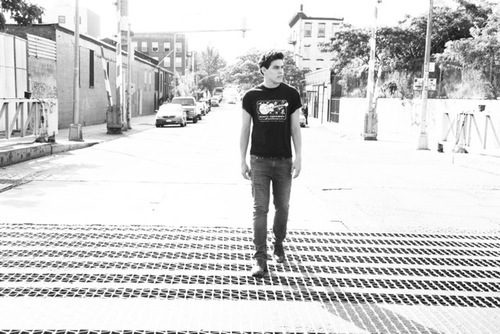 A recent signing to RCA and Dr. Luke’s Kemosabe Records, Christian Burghardt’s debut EP, Safe Place To Land, shows a lot of promise, with breezy, light songs that sound like a perfect fit for hot adult contemporary radio. To solidify that fit, he’s been on tour with Phillip Phillips, Matt Nathanson, and Gavin DeGraw, and he has spent time in the studio with songwriter-producers Gregg Wattenberg and Derek Fuhrmann, whose credits include Phillips, Train, OAR, the Goo Goo Dolls, and David Cook. With “Safe Place To Land” getting a radio push soon and more material on the way soon, Burghardt could be a veritable adult pop star by year’s end. The sixth-place finalist on the ninth season of UK’s X Factor, audience favorite Ella Henderson signed a deal with Syco only two months after her departure. Debut album Chapter One received a UK release in October and has already logged three top-twenty hits there, including #1 hit “Ghost.” Now leading into this month’s American release of the repackaged album, Columbia has given her a hugely aggressive promo slate for a new artist, with recent fall appearances on The Voice, Ellen, and Dancing With The Stars, plus daytime talk shows and Late Show With David Letterman during the album’s street week. The music holds up as well, of course: Simon Cowell initially projected her as “the new Adele,” and her mix of soul and pop is indeed reminiscent. 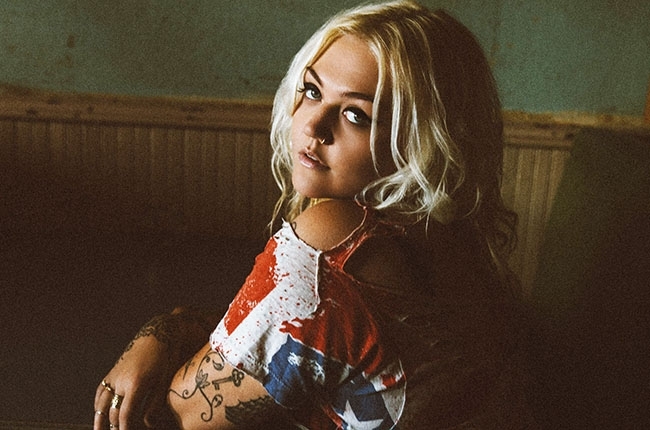 It’s been over two years since Elle King’s single “Playing For Keeps” was chosen as the theme song for VH1’s Mob Wives Chicago. Since then, she hit the road, touring with artists like Train, Of Monsters And Men, and Allen Stone. 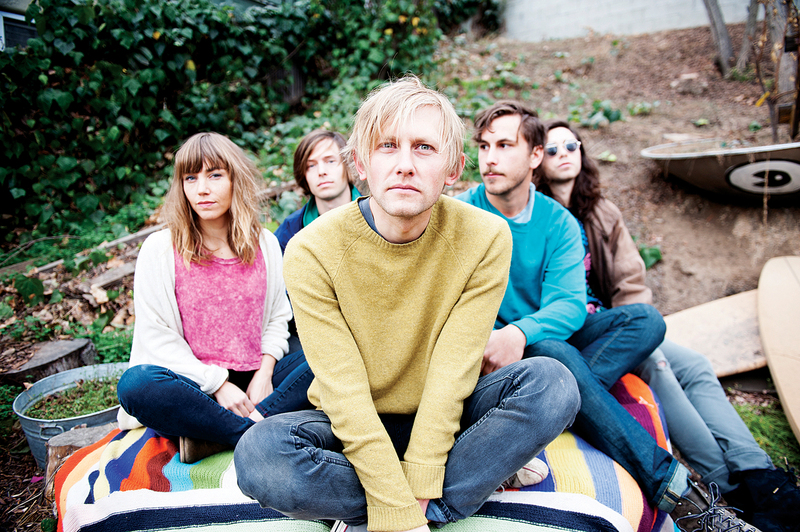 Next, her full-length debut, Love Stuff, is slated for a February release. The tracks released so far, including the rollicking single “Ex’s & Oh’s,” place her gravelly tone amidst cool, blues-inflected folk-rock grooves. It looks as if King’s time has finally come for a breakthrough. Though still completing her education at Belmont University, Nashville singer-songwriter Ellery Bonham, known professionally as EZA, has turned heads with her debut EP, Means Of Escape. Its four songs carry a dark undertone, with echoing vocal loops adding to the brooding, haunting quality. She’s gained business acumen too, which should definitely help: she published this helpful and intelligent article for Digital Music News upon the release of the EP discussing the process and knowledge gained leading into the release. Additionally, “High & Low” was featured in a Spotify-curated playlist, Deep Dark Indie, alongside fellow artists like BANKS and Broods, and new song “Headlights” was included in this year’s Nashville Indie Spotlight compilation. For playing guitar on Pharrell and Daft Punk’s “Gust Of Wind” and releasing his debut single “Call,” Francesco Yates has already received praise from a number of high-profile names and publications. The Canadian afro-haired singer-songwriter and instrumentalist is signed to Atlantic Records, and industry names like Justin Timberlake, JoJo, and Diane Warren are already impressed, as are publications such as Billboard and Noisey. His cool, yet catchy style shines on tracks like “Call” and “When I Found You,” and his Pharrell-produced debut album is on the way. 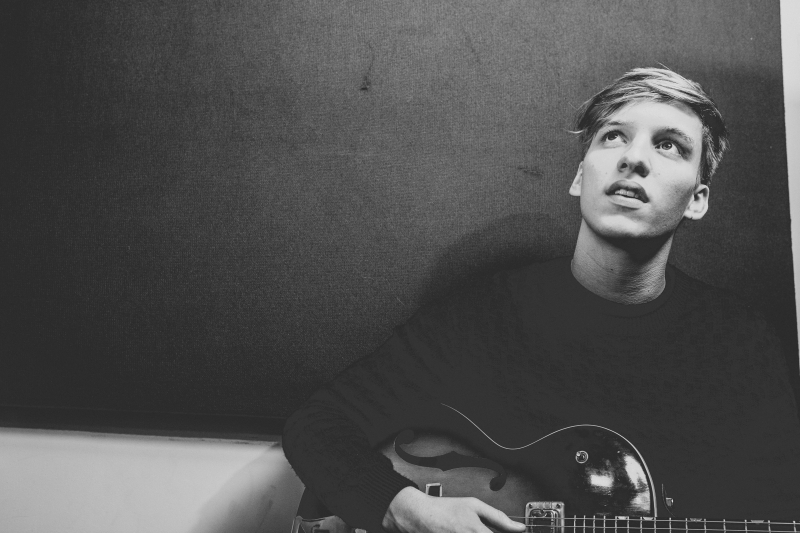 Previously longlisted for the BBC Sound Of 2014 poll, George Ezra has already seen success with hit single “Budapest” and debut album Wanted On Voyage, which reached the top ten in ten countries, including #1s in the UK and Scotland. American success is likely to follow next, though not quite as immediately: “Budapest” is top thirty on adult pop radio, with a pop release scheduled for early February along with the stateside album release at the end of January. 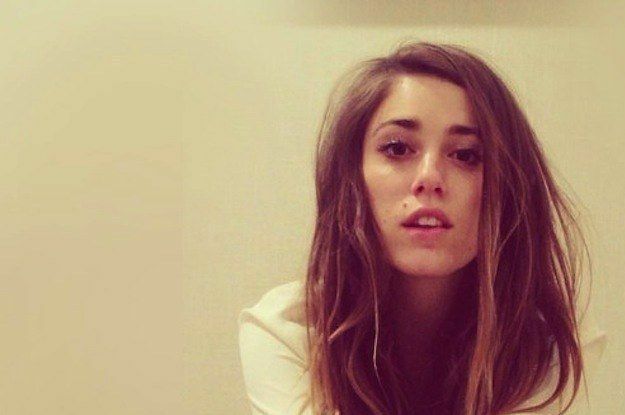 Grace Mitchell’s first claim to fame in 2014 came with her cover of Hall & Oates’s “Maneater” as part of the soundtrack to The Secret Life Of Walter Mitty. 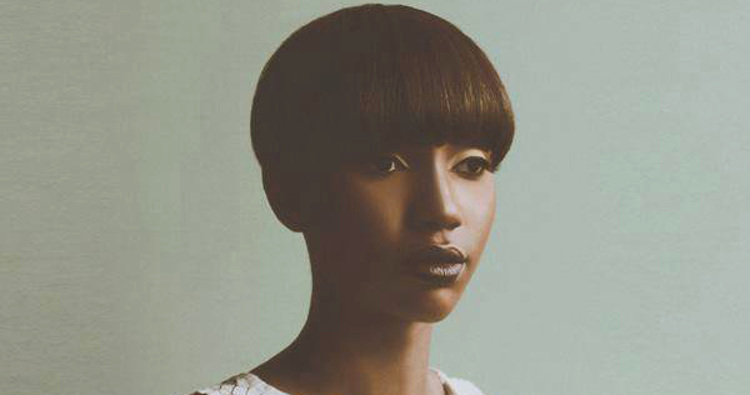 Shortly thereafter, she signed to Republic Records and released her debut EP, Design. At one moment, she evokes the edgy, dark style of Lana Del Rey, with and the relatable vocal and message of women like Alanis Morissette and P!nk at the next. 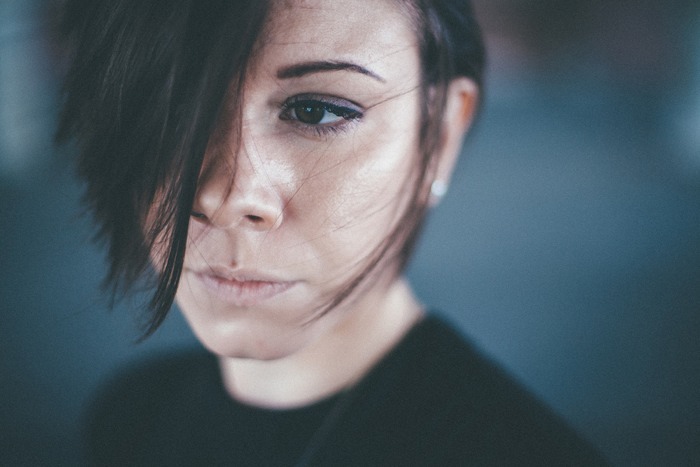 Mitchell has been a musician for nearly half her life, despite being only seventeen, adding skills in production and composition to her repertoire. Republic reportedly plans to release a single to radio in March, with her full-length debut coming later in the year; in addition, she has a co-write with Sia and Greg Kurstin on Gwen Stefani’s upcoming solo return. 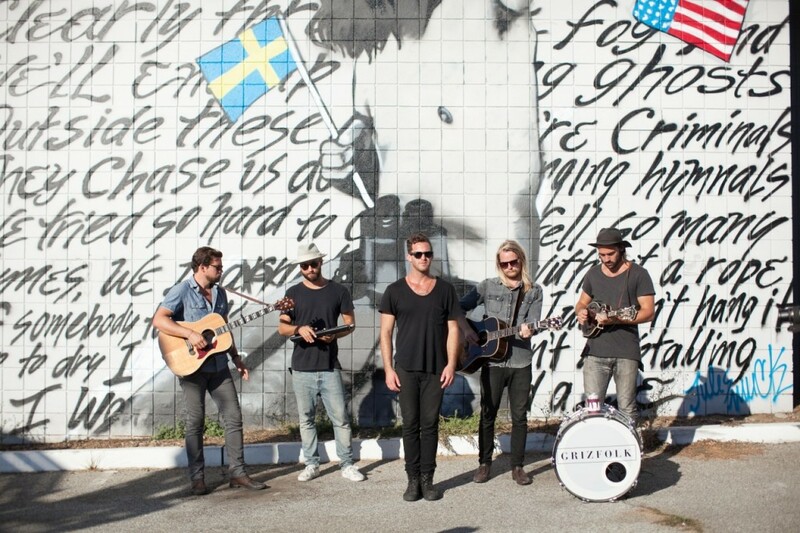 Grizfolk has received surprisingly little attention from radio and press so far, despite putting in their dues touring with ZZ Ward and Bastille and releasing a debut EP, From The Spark (full review), as well as a live EP called From The Road to culminate the year. Songs like debut single “The Struggle” and follow-up “Hymnals” are both radio-ready, with Adam Roth’s strong, husky vocal and vigorous guitar lines laced with an electric buzz of production. This year should see the release of their full-length debut album through Virgin Records; hopefully some deserved coverage is on the way as well. 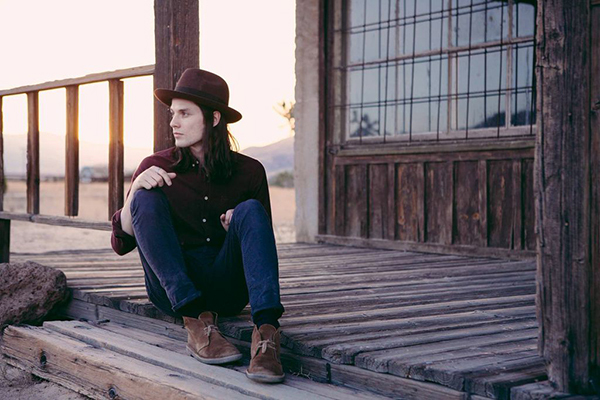 With his debut album, Chaos And The Calm, set for a late March release, singer-songwriter James Bay is currently within the top twenty on AAA radio with his single “Let It Go.” Various selections from his album have been available for a year and half now, but the wait for the album has resulted in plenty of time to gain accolades. Numerous press outlets, including the Boston Globe, USA Today, Huffington Post, and The Guardian, have also selected him as an artist to watch this year. Perhaps most importantly, he just received a big nod from BBC, where he placed second in their Sound of 2015 list (behind Years & Years). Jamie Scott has already had a lot of experience in the music industry, with past solo projects and a duo with producer TommyD, Graffiti6. 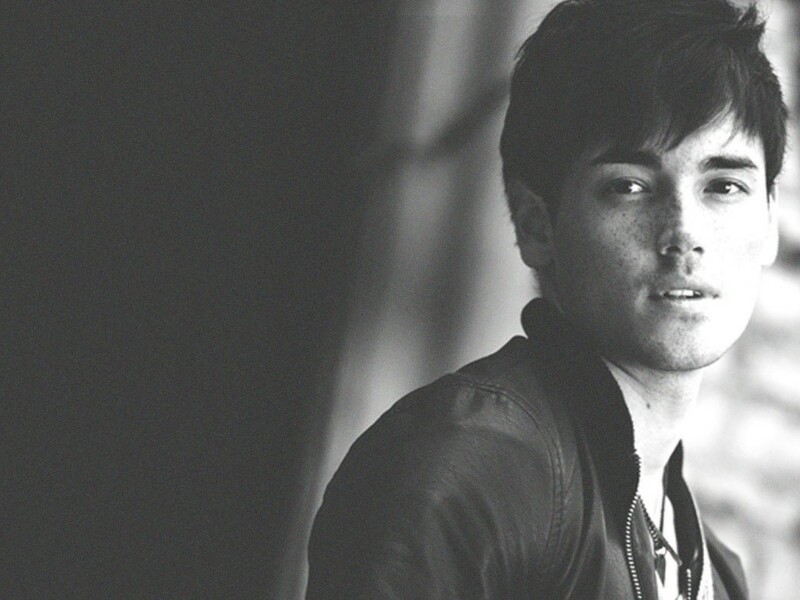 He also has a lengthy resume of songwriting credits for a wide array for artists, including One Direction, Christina Perri, Enrique Iglesias, and Olly Murs. The next chapter of his career is a solo album that has been years in the making, entitled My Hurricane. A concept album of sorts, My Hurricane tells the story of a couple from their inception to their death, with all the ups and downs in between. Single “Unbreakable” received some radio airplay late last year, as well as television syncs in CW’s Hart of Dixie and The Vampire Diaries. Beyond his album release to look forward to, signs are pointing toward another tour opening for One Direction this summer. 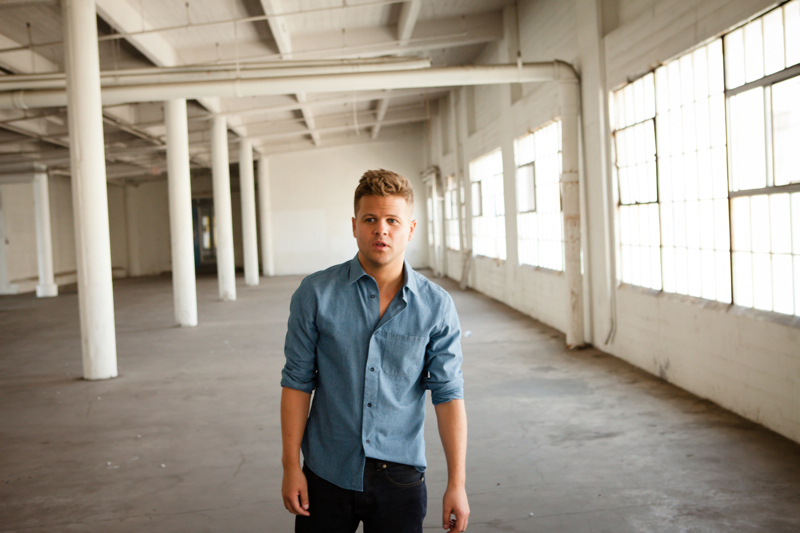 Josh Dorr released his self-titled debut EP in May of 2014, but this year should see breakout action as his first single, “Save Your Breath,” goes to radio via RCA Nashville. On the EP’s opener and arguably strongest track, “All Or Nothing,” his Nashville-bred twang combines with a little Wyoming-born rock that gives it a feel that’s “more Rob Thomas than Kip Moore,” as The Shotgun Seat put it. 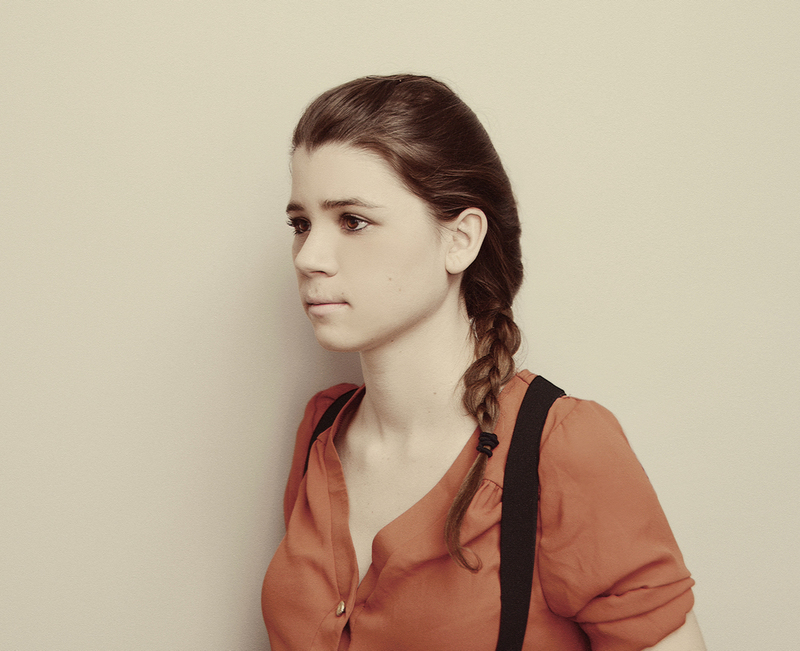 Aly Spaltro, known professionally by the name Lady Lamb The Beekeeper, released her debut studio album Ripely Pine in 2013. The songs on that album, including the single “Bird Balloons,” were both personal and vulnerable, displaying both restraint and grit. As a follow-up, Spaltro has signed with Mom + Pop Music to release sophomore album After in March. Lead single “Billions Of Eyes” manages engaging whimsy while describing daily minutia and Spaltro’s mixed emotions throughout. 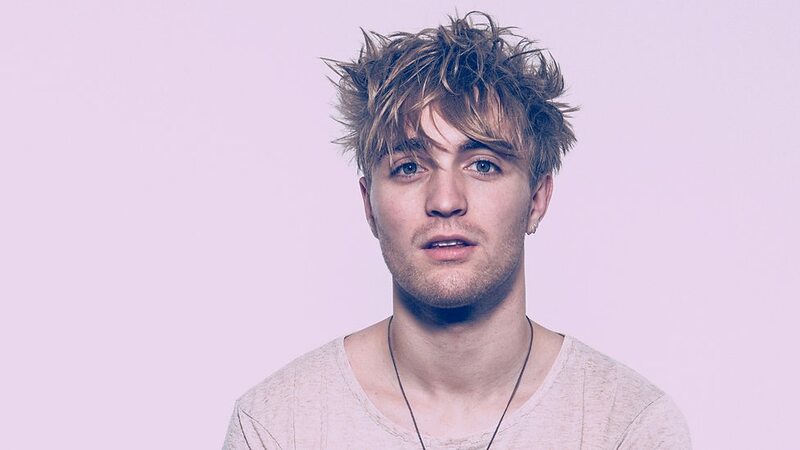 Martin Luke Brown’s stellar debut single “Nostalgia,” with musical echoes of OneRepublic and Mikky Ekko, has gained the attention of BBC Radio 1 through both Zane Lowe and the BBC Introducing program. It’s a relatable reminder of how looking back can sometimes be harmful and haunting (full review), set to a moody pop composition of keyboards and light percussion. Brown recently signed a publishing deal with Kobalt Music, and he has also previewed a few other songs, including “Stitch,” currently available for free download from his website, with more music likely to follow in 2015. Rewind almost two years to February 2013, and Mickey Guyton’s name was in Billboard, having performed her song “Better Than You Left Me” to the day’s first standing ovation at a Universal Music Group luncheon during Nashville’s Country Music Seminar. From there, Guyton released an EP, Unbreakable, on Capitol Nashville in spring 2014, following that with additionally well-received label showcases and radio tours. Now, “Better Than You Left Me” has been released as her first radio single just days after her Grand Ole Opry debut, and it’s already breaking records: with 79 adds in its first week at country radio, she netted the highest one-week adds total for any new artist in Country Aircheck history. This year comes with a slew of press nods as an artist to watch, including NPR, Billboard, and Spotify; she will also be featured as a VEVO DSCVR artist this spring. Her debut album is tentatively scheduled for a summer release, but before that, she will perform once again at the Country Music Seminar as well as SXSW, where the standing ovations are likely to continue. 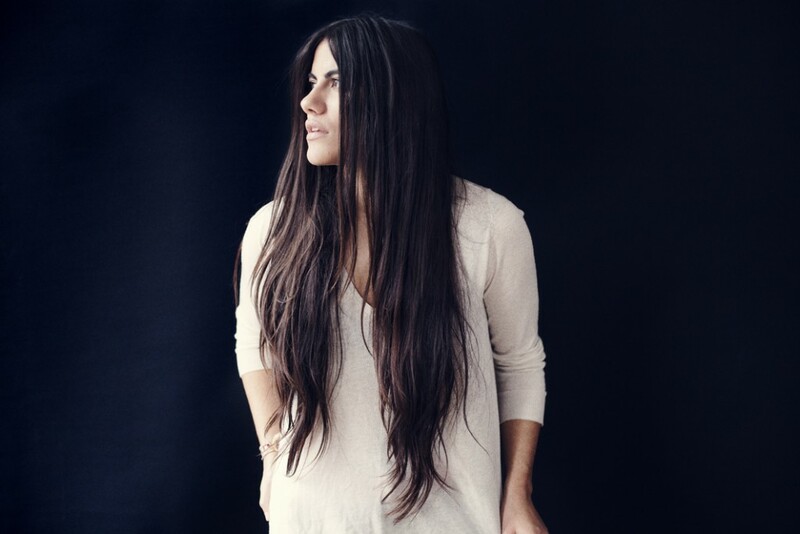 Singer-songwriter Jessica Cerro started her musical journey a few years ago, becoming a finalist in Triple J Unearthed High 2012. Taking a brief pause from her budding musical career to pursue her studies, she returned in 2014 by releasing two fantastic slices of left-of-center pop, “I’m A Fantastic Wreck” and “I Am Not An End.” Following that, she released a five-track EP called Life Of Montaigne, which continues the dynamic sonic trend with introspective thoughts on relationships, emotions, and expectations. She’s beginning the year with a support slot on Australian artist Megan Washington’s album release tour, but hopefully the year will see more coverage across the ocean as well, if not a full album release. 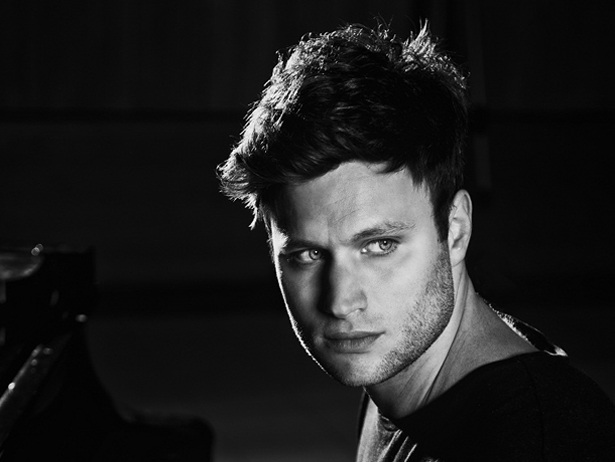 Like many artists who get their starts on YouTube, British singer and instrumentalist Nick Gardner built up a following of more than 25,000 thanks to cover songs. Gardner takes it a step further, categorizing his uploads into modern and vintage, straightforward and mashups, giving him access to catalogs by everyone from Adele and Bruno Mars to Elton John and Ray Charles. After signing to Interscope last year, he released “Lose You,” a banger of a single that skews modern pop sensibilities in Phil Collins’s direction. Building off his iTunes Festival performance opening for Maroon 5, he’ll continue to open for them alongside MAGIC! throughout the European leg of their tour in May and June. It’s admittedly strange to present someone as an artist to watch after they’ve already released a compilation album of their #1 hits. 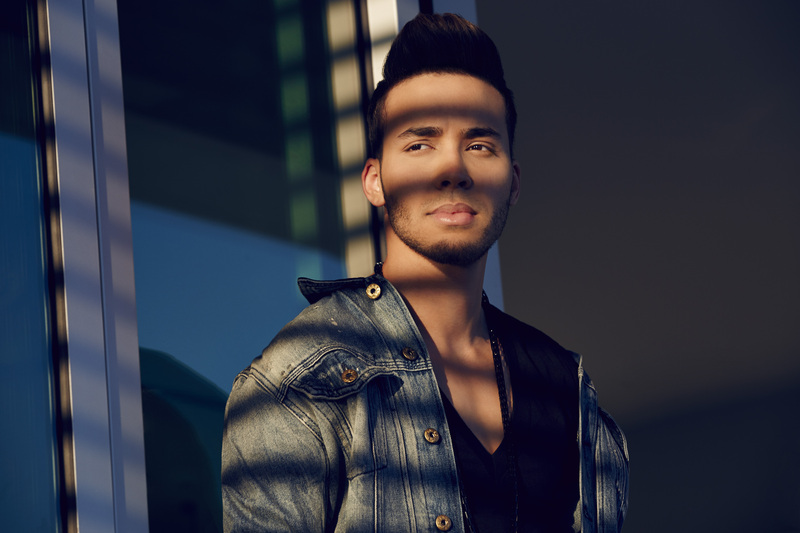 While he is a prominent star in Latin music, with eight chart-toppers on the Billboard Tropical Songs chart, his only song to reach the general Hot 100 is “Darte un beso,” which peaked at #78. But this year should bring Prince Royce a lot more recognition in the continental US as a whole, with his first English-language album on the way and a fourth Spanish-language release to follow. Lead single “Stuck On A Feeling,” featuring Snoop Dogg, is receiving a significant boost in radio airplay this month due to iHeartRadio’s On The Verge artist integration program, which mandates airplay of the single on all pop-format iHeartRadio stations. Even without it, the song’s catchy melody and tight, bass-heavy production will likely propel it regardless — it’s already matched the #78 Hot 100 peak of “Darte un beso” and should continue on its way up in the coming weeks. 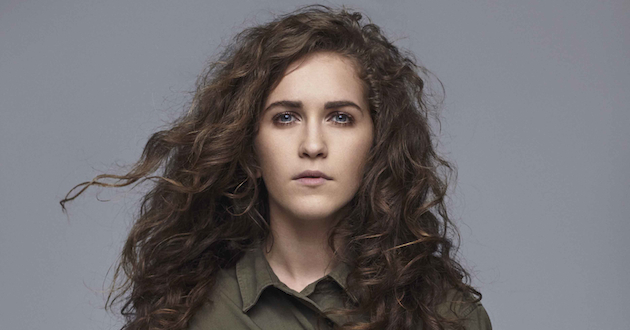 Another member of the BBC Sound of 2015 longlist, Rae Morris’s inclusion for the annual honor capped a busy 2014. While featuring on tracks for Bombay Bicycle Club and Clean Bandit and touring (including stops at the Glastonbury and Leeds festivals), she also prepared for this month’s release of her debut album, Unguarded. 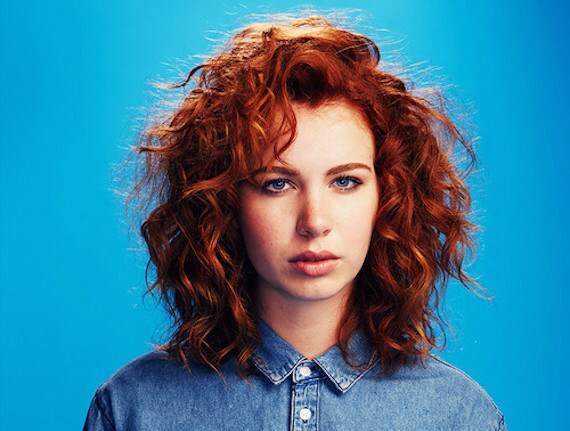 Her electropop midtempos recall fellow British talent like Kate Bush or Jess Glynne, with a voice that has a glassy, pure quality without sounding cold. 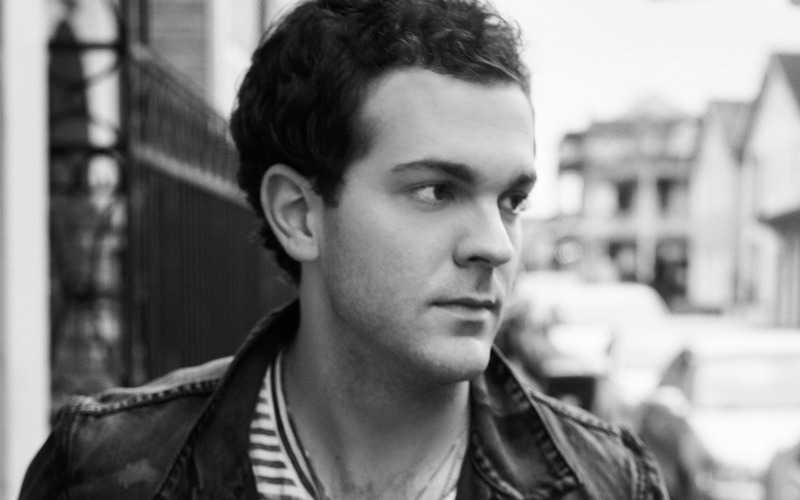 At the beginning of last summer, Ryan Kinder was newly independent as his label Bigger Picture Music Group shuttered mere weeks after promotion finally began for his debut radio single, “Kiss Me When I’m Down,” which showcases Kinder’s gravelly voice with a rock-leaning song with a clever plane metaphor. By summer’s end, the ink was drying on his new label deal with Warner Music Nashville, and he was on his way out to tour with Zac Brown Band. While time will tell if Warner will relaunch “Kiss Me When I’m Down” or start with previously-unreleased material, Kinder’s talent and work ethic are clear, so there’s a good possibility that he’ll cut through the noise as a breakthrough artist in the country music scene. It certainly pays to have famous friends, especially those who are as talented and well-connected as Benny Blanco, Charli XCX, and Jessie Ware. But to point to them as the sole factor in Ryn Weaver’s nearly-overnight launch into stardom would be a disservice to her talent — while her industry connections got her foot in the door, it was her own determination that built those connections, not to mention the music that caused all of Blanco’s friends to take a listen to her music on SoundCloud and say “we need to sign this.” Her debut EP with Blanco’s label Friends Keep Secrets and Interscope, Promises is full of pop hooks, particularly in the single that caused her internet explosion, “OctaHate.” That song will now build her at radio, with promotion scheduled for late February ahead of a full-length album early in the year. 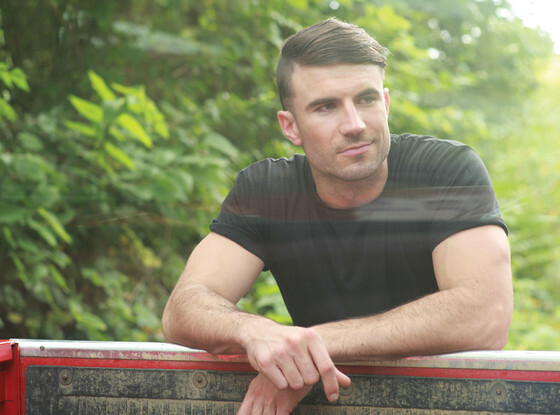 Country music’s latest new star is Sam Hunt, whose debut single “Leave The Night On” has already ascended to the top of the country airplay chart with debut album Montevallo doing the same in country album sales. The Nashville singer-songwriter and former football player has written cuts for artists like Keith Urban and Kenny Chesney, while his own material bridges genres. Elements of R&B, pop, and hip-hop creep into his country compositions, including a few spoken-word verses that stumble gradually but gracefully into a melodic line. 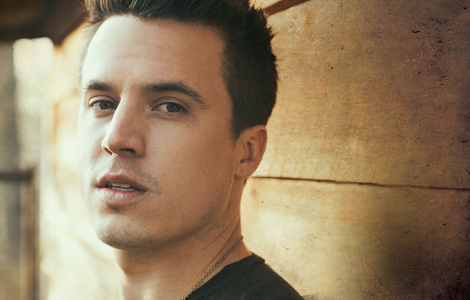 Hunt’s brand of country isn’t exactly traditional, but it has wide-ranging appeal and is less divisive than much of the “bro-country” trend, which could lead to additional crossover appeal as his career continues to grow. Sheppard saw explosive success last year, as their single “Geronimo” rocketed to the top of the Australian charts while still an independently-promoted band. Since then, they signed deals with Decca (internationally) and Republic (in the US) and took “Geronimo” to the top ten throughout Europe. While it’s been a bit of a wait in gaining traction in America, things are heating up before the song’s pop promotion begins later this month, with a sync in a viral wedding proposal promoting NBC’s Marry Me and healthy airplay from SiriusXM Hits 1. This year should also see the North American release of their debut album, Bombs Away, which debuted at #2 in Australia last year. 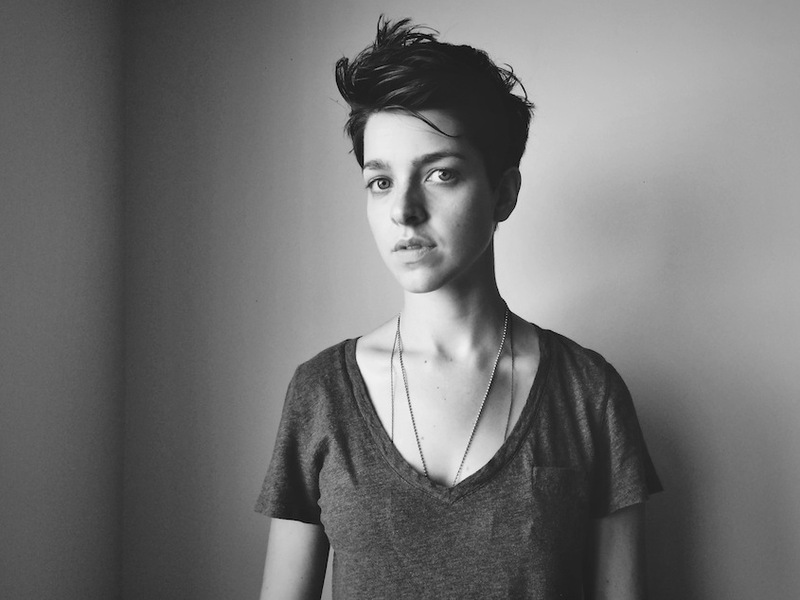 Though based in Nashville as a recording artist, Julia Sinclair’s roots are in northern New York, and the sound of her Sweet Talk EP combines those sounds, with a slight folk tinge to shimmering pop that resembles Tegan & Sara’s latest work. The five tracks on the EP are all excellent, ranging from freeing and expressive (“Holla”) to the romantic and aspirational (“The World Is Ours,” “This Too Shall Pass,” “Heaven On Earth”). Sinclair has a keen sensibility for melody and a confident sense of her own identity as an artist and beyond, which should help her build her career as more tastemakers begin to take notice. Billboard is absolutely right to call Sofi de la Torre’s “Vermillion” a song “you need to embrace.” The melancholy pop song throbs along as de la Torre laments: “I love these streets, but they weren’t meant for me to walk.” She’s claimed new songs will be on the way on her upcoming tour, and she’s also cheered over “exciting meetings,” which is of course a promising phrase in the industry. Of the artists here, Sye Elaine Spence is probably one of the least developed thus far, but it also means she has a lot of potential yet to be tapped. In the bleak midwinter, she dropped an EP, Bloom, with light folky melodies and a soft, tentative twist on Bob Marley’s “Is This Love” adding a breeze of summer air to the cold. Most of the year was spent getting press for her music as well as some poetry coverage while performing in and around Atlanta and NYC. New music may be coming soon: she previously dropped hints on social media of more music to come, along with pictures from a flowery photo shoot. New Zealand artist Thomston released two EPs for free on SoundCloud in 2014, School Night and Argonaut, and both featured minimal, hip-hop-inflected production under a young artist with a strong voice. If that sounds somewhat familiar, Thomston’s already grown tired of it, having already received numerous comparisons to Kiwi queen Lorde. His talent continues to grow, with Argonaut track “Anaesthetic” standing out due to its lyrical theme of numbing loneliness and dark production. While there hasn’t been any confirmation yet of a record deal, they are likely in hot pursuit; meanwhile, Thomston promises brand-new material to come early in the year. A New York University student by day and a professional musician by night, Tor Miller signed a record deal with Glassnote Records last year after BBC Radio 1’s Zane Lowe discovered his iPhone-recorded track “Hold The Phone” and promoted it as a Next Hype track. In the US, his first song released through the label is “Headlights,” a show-stopping single held up only (yet formidably so) by a simple piano line and Miller’s powerful vocal. Up next, his song “Midnight” will be promoted to AAA (adult album alternative) radio; all three aforementioned songs will be included on his debut Headlights EP, scheduled for a February 3 release. Tori Kelly released a stunner of a sophomore EP in fall 2013, Foreword, through Capitol Records (following independently-released Handmade Songs By Tori Kelly the year before). With a mixture of acoustic pop and the occasional hip-hop beat, Kelly sounded confident and carved out a comfortable niche for herself among the many female singer-songwriters in the genre. Her next steps may take her to even bigger heights, in terms of both sound and fame: her long-awaited full-length album is coming in 2015, led with a single produced by pop heavyweight Max Martin. She’s also been in the studio with production duo The Jam, as well as Toby Gad and Jake Gosling, which holds a lot of promise in itself for what’s to come. 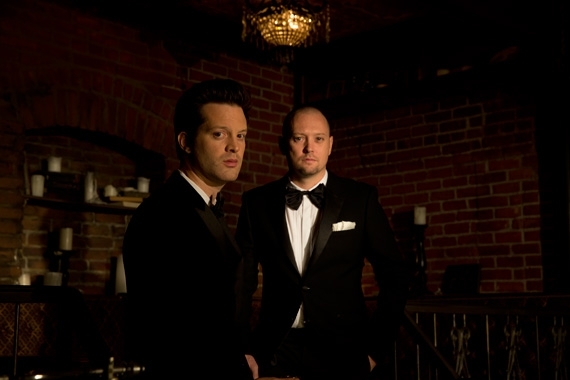 Mayer Hawthorne and Jake One began releasing music as Tuxedo in spring 2013, quietly dropping a funky three-track EP without giving indication of who they were. Eventually, word got out, but Tuxedo as a project was put aside; in the interim, Hawthorne released a solo album and a collaborative album with producer 14KT under the name Jaded Incorporated. Now signed to Stones Throw Records, where Hawthorne’s first albums were released before he signed to Republic, Tuxedo will release their self-titled debut album in March. While the only indication of the album’s material is the preceding EP (plus a highly dance-friendly cover of Paul McCartney’s “Wonderful Christmastime”), it’s a sure sign that the album should provide plenty of funk to jam to; perhaps the recent success of Mark Ronson and Bruno Mars’s “Uptown Funk” will lead fans of the genre to Tuxedo as well. One of many strong acts on the Vagrant Records roster (The 1975, Bombay Bicycle Club, Bad Suns), WATERS began running on the label in October with the release of a four-track EP, It All Might Be OK, following an independent 2011 album called Out In The Light. Working with members of Grouplove and POP ETC. and adding just a bit of their bands’ sounds to the melange fronted by Van Pierszalowski, formerly of indie-folk band Port O’Brien, the EP adds a bit of a pop flair to an energetic rock body. Look for single “I Feel Everything” to climb the ranks at Alternative in the first quarter of the year, with a concentrated radio push coming soon following early support from SiriusXM Alt Nation. 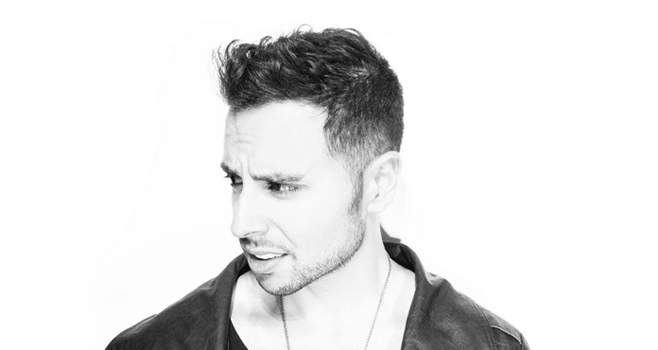 Stephen Wrabel’s claim to fame in 2014 was a vocal feature on Afrojack’s international hit single “Ten Feet Fall,” originally written without the electronic production by Wrabel and Chris Braide. 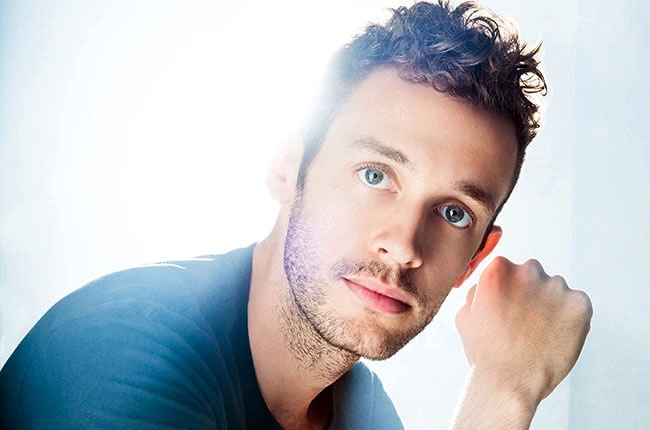 Wrabel released his solo version of the track once Afrojack’s version received noticeable attention, but it was “Sideways” that stole the show for me. First released as a free Single of the Week on iTunes to help promote his solo EP of the same name, “Sideways” remarkably shows Wrabel’s expansive range and strength in songwriting. 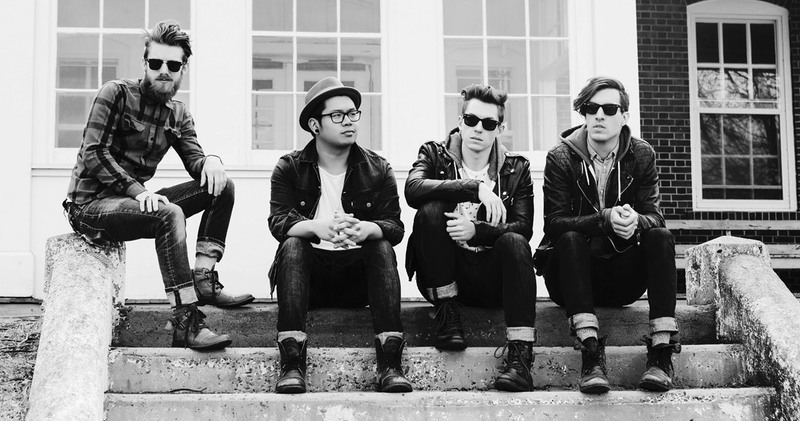 A debut album is in the works now with the backing of Island Records, who also released the Sideways EP. 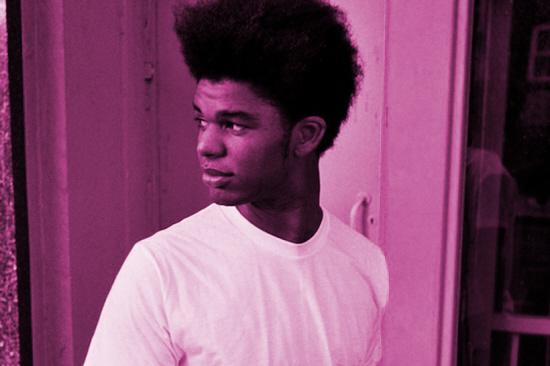 Swedish artist XOV, né Damian Ardestani, first gained some tastemaker attention early last year after the late 2013 release of his debut EP, Boys Don’t Cry (Naked Edition). The so-called “Naked Edition,” an acoustic set that was originally planned to precede a fully-produced counterpart, was pulled after XOV signed with Sony in the spring. The acoustic take of “Lucifer” is available on a compilation, and the full version of “Boys Don’t Cry” has been made available on SoundCloud, but an unexpected addition to his repertoire has given him the most attention thus far: a track on the Lorde-curated soundtrack for The Hunger Games: Mockingjay, Pt. 1, a result of Lorde herself finding his music and messaging him on Twitter. “Animal” is a good representation of what we’ve heard so far: dark, gritty production over slightly aggressive delivery. Anticipation for more music on the back of the soundtrack single should be answered in the coming year, with an EP release in Scandinavia imminent and likely worldwide promotion in the coming year. They’ve been “looking for the high” for nearly a year now, and Young Rising Sons have built a fair amount of attention for their debut hit, which will begin moving from a number of TV syncs to radio airplay this year. Joining the Dirty Canvas Music roster last spring, they seem to be following a similar trajectory as fellow Dirty Canvas signings American Authors, who worked with the New York music production and artist development company toward an Island Records deal and hit single “Best Day Of My Life.” “High” looks to be on a similar path, with the band now signed to Interscope and working toward a full-length album after having released a self-titled EP in the summer.